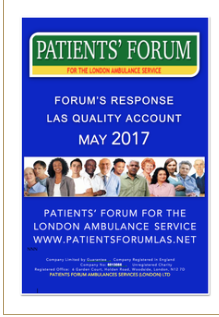 Patient and Public Involvement (PPI) in the LAS . Care and Treatment of Patients with Dementia Patients who fall . Safeguarding . Concerns about CAT A and CAT C Calls and Performance Diagnosis of Stroke . 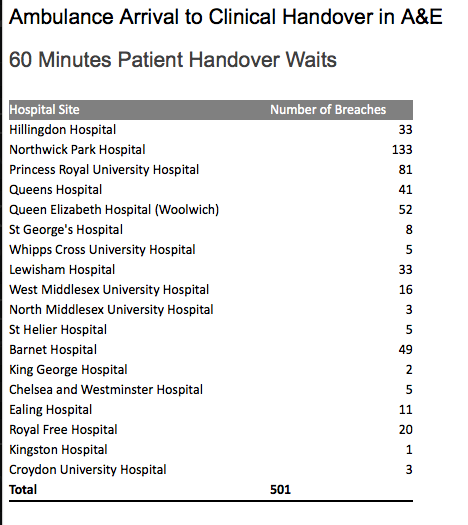 Queuing in Ambulances . 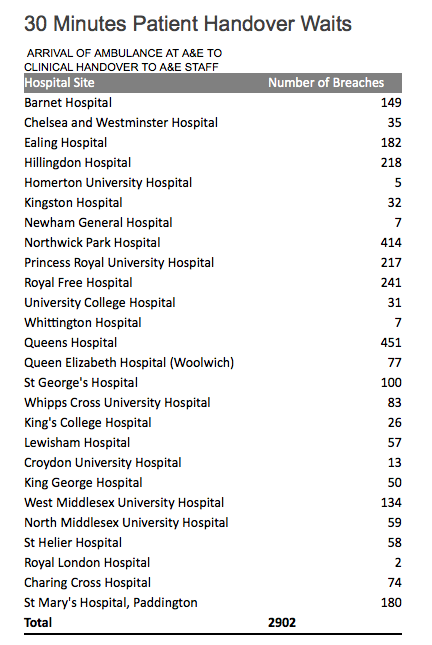 Gaps between shifts - Impact on patient care Complaints about Attitude and Behaviour . Infection Control and Multi-Use of Blankets . 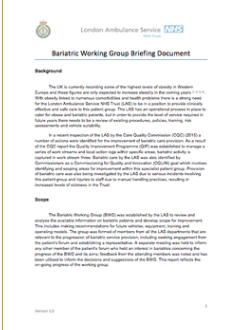 Bariatric Care Care of People in a Mental Health Crisis . End of Life Care . Equality and Inclusion. Introduction . 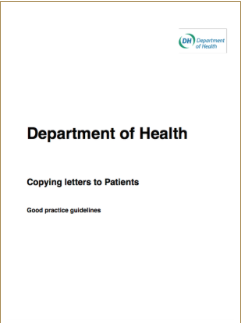 What is 'copying patients' letters about? . When letters should not are copied Consent to receipt of letters: Identifying appropriate recipients . How is it to be done? 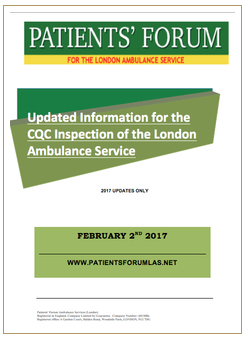 The Patients' Forum for the LAS is supporting the campaign to encourage every pharmacy in London to install a defibrillator and ensure that staff are trained to use them and give CPR. 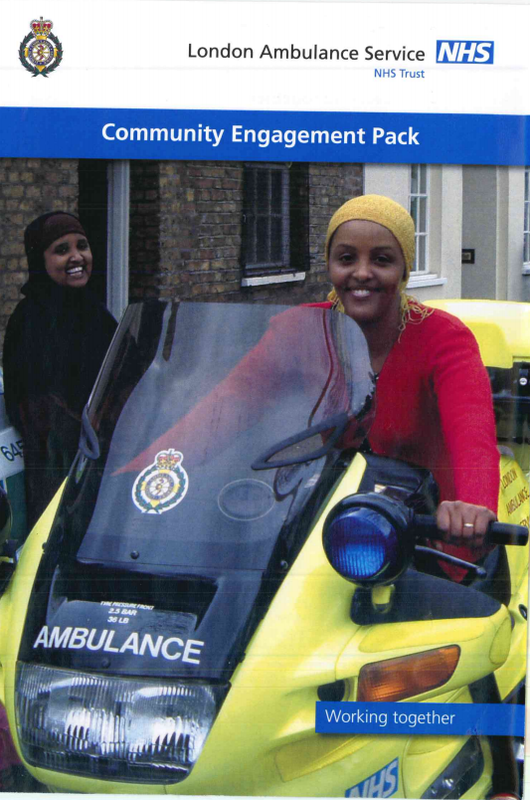 This approach fits in well with the national aspiration to reduce deaths from cardiac arrests and specifically with the aspirations of pharmacists, to save lives by extending the training and capacity of pharmacy staff to support their local communities, by reducing the number of people who die from cardiac arrest. 2. 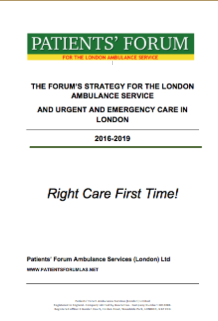 What does The London Ambulance Service want to achieve? 4. How do we do it? The event was held on June 4th 2014. It was independently facilitated by Patient and Public Involvement Ltd and brought together a mixed group of patient and public representatives to inform the development of a strategy for patient and public engagement over the next five years. This booklet is about the care and treatment in hospital of people with acute painful sickle cell episodes (also sometimes known as ‘painful crises’) in the NHS in England and Wales. It explains guidance (advice) from NICE (the National Institute for Health and Clinical Excellence). It is written for adults with sickle cell disease who experience acute painful episodes, and for the parents or carers of children and young people who have acute painful sickle cell episodes. However, it is recognised that many children and young people will want to know for themselves what the NICE guidance says. This information may also be useful for them and for anyone with an interest in the condition. 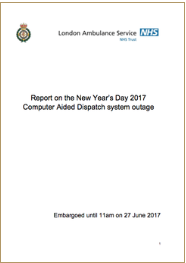 Welcome to the seventh edition of the Major Incident Procedure Manual published in July 2007 by the Metropolitan Police on behalf of the London Emergency Services Liaision Panel.